Draft: 2013, Chicago Cubs, 10th rd. Married to Autumn…has a daugher, Aubrey...Has 2 labs, Tank and Remy; named his dog Tank because his wife wouldn't let him name their child that name; named Remy after Remington shotguns...Traded to D-backs with RHP Jeferson Mejia for C Miguel Montero (Dec. 9, 2014). Established career highs in wins (15), starts (32), innings (178.1) and strikeouts (185)…tied his career high with 14 quality starts... Third pitcher (first righty) in club history with 15+ wins and fewer than 200.0 IP (also: Wade Miley in 2012 and Robbie Ray in 2017)...Tied for sixth in the NL in victories (also: Jhoulys Chacín/MIL and Zack Greinke/ARI)...His 4.74 ERA was the highest by a NL pitcher with 15+ wins since Bronson Arroyo/CIN in 2008 (15 wins/4.77 ERA)...Struck out the first batter in each of the first 7 innings on July 31 vs. Rangers, the only pitcher since 1974 to do so in a single game and second Arizona pitcher to strike out 7+ leadoff batters in a game overall (also: Randy Johnson, 7 on May 8, 2001, and 8 on Aug. 15, 2004) [source: STATS LLC]. Set career highs in starts (25), wins (8), innings (155.0) and strikeouts (165) in his third season with the D-backs, going 8-9 with a 3.37 ERA, 53 walks and a .221 opponent average...Among NL starters (min. 20 GS), ranked ninth with a 1.14 WHIP and .657 opponent OPS and 10th with a .221 opponent average...Ranked among NL starters at home in opponent average (3rd, .198), hits- per-9.0 innings (3rd, 6.30) and opponent OPS (8th, .631)...His .198 opponent average at Chase Field was the lowest in team history, besting Josh Collmenter's .200 mark in 2014. POSTSEASON: Threw 5.0 innings of 2-run baseball with 5 strikeouts out of the bullpen in his lone appearance in NLDS Game 1 @ Dodgers. Was 5-4 with a 6.39 ERA (53 ER in 74.2 IP) in 27 games (9 starts) over 3 stints with the D-backs...Went 1-1 with a 4.73 ERA (14 ER in 26.2 IP) and .232 opponents average in 18 relief appearances…was 4-3 with a 7.31 ERA (39 ER in 48.0 IP) in 9 starts... Combined to go 4-6 with a 3.62 ERA (33 ER in 82.0 IP) in 15 games (14 starts) between Double-A Mobile and Triple-A Reno. Was 5-1 with a 3.19 ERA (13 ER in 36.2 IP) in 9 games (6 starts) with Arizona…starter ERA would have been 1.38 (4 ER in 26.0 IP) minus his start on Sept. 4 @ Cubs (6 ER in 3.2 IP)…Opponents were 2-for-25 (.080) with runners in scoring position and 0-for-13 with RISP and 2 outs…On July 23 vs. Brewers, became the first pitcher in the Modern Era (since 1900) to throw at least 6.0 scoreless innings in his Major League debut with no walks and 7+ strikeouts…7 strikeouts also tied the club record for most in a MLB debut by a D-back (also Max Scherzer on April 29, 2008 vs. Astros (4.1 IP in relief)…Combined to go 10-4 with a 2.71 ERA (30 ER in 99.2 IP) in 21 games (17 starts) with Single-A Visalia and Mobile…Named to the California League midseason All-Star Team…Led the CL in ERA and ranked second in strikeouts at the time of his promotion to the BayBears… Ranked by Baseball America as the No. 14 Prospect in the CL following the season. September 7, 2018 Arizona Diamondbacks activated RHP Zack Godley from the paternity list. 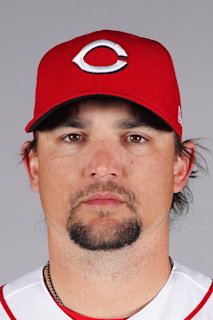 September 4, 2018 Arizona Diamondbacks placed RHP Zack Godley on the paternity list. June 6, 2017 Arizona Diamondbacks recalled RHP Zack Godley from Reno Aces. June 1, 2017 Arizona Diamondbacks optioned RHP Zack Godley to Reno Aces. May 10, 2017 Arizona Diamondbacks recalled Zack Godley from Reno Aces. April 27, 2017 Arizona Diamondbacks optioned RHP Zack Godley to Reno Aces. April 26, 2017 Arizona Diamondbacks recalled Zack Godley from Reno Aces. March 25, 2017 Arizona Diamondbacks optioned RHP Zack Godley to Reno Aces. July 19, 2016 Arizona Diamondbacks recalled Zack Godley from Reno Aces. July 6, 2016 Arizona Diamondbacks optioned RHP Zack Godley to Reno Aces. July 5, 2016 Arizona Diamondbacks recalled Zack Godley from Reno Aces. June 25, 2016 Arizona Diamondbacks optioned RHP Zack Godley to Reno Aces. June 11, 2016 Arizona Diamondbacks recalled Zack Godley from Reno Aces. May 26, 2016 RHP Zack Godley assigned to Reno Aces from Mobile BayBears. March 28, 2016 Arizona Diamondbacks optioned RHP Zack Godley to Mobile BayBears. September 4, 2015 Arizona Diamondbacks recalled Zack Godley from Mobile BayBears. August 24, 2015 Arizona Diamondbacks optioned RHP Zack Godley to Mobile BayBears. August 19, 2015 Arizona Diamondbacks recalled Zack Godley from Mobile BayBears. August 5, 2015 Arizona Diamondbacks optioned RHP Zack Godley to Mobile BayBears. July 23, 2015 Arizona Diamondbacks selected the contract of Zack Godley from Mobile BayBears. June 24, 2015 RHP Zack Godley assigned to Mobile BayBears from Visalia Rawhide. April 6, 2015 RHP Zack Godley assigned to Visalia Rawhide. December 9, 2014 Arizona Diamondbacks traded C Miguel Montero to Chicago Cubs for RHP Jeferson Mejia and RHP Zack Godley. May 6, 2014 Zack Godley assigned to Daytona Cubs from Kane County Cougars. March 31, 2014 RHP Zack Godley assigned to Kane County Cougars from Boise Hawks. July 6, 2013 RHP Zack Godley assigned to Boise Hawks from AZL Cubs. July 1, 2013 Zack Godley assigned to AZL Cubs. June 18, 2013 Chicago Cubs signed Zack Godley.